Jacques Courtin-Clarins opened his first institute in 1954 where he was able to meet his clients and where he found inspiration for the first Clarins Treatments. Since then, Clarins has continued to offer even more effective treatments thanks to constant research, listening to women and men around the world and by carrying out scientific tests to measure the effectiveness of its Institute treatments, a first in the cosmetics field. 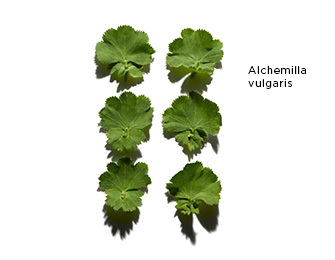 Clarins Researchers use all the resources of science to uncover the beauty secrets of plants, analyze their cosmetic properties and study their interactions with the skin. To design unique, high-performance, pioneering formulas which respect the skin’s natural balance. The Exclusive 100% Manual Clarins Method. Touch is everything. Every movement counts. The same motion can produce totally different effects depending on very specific criteria. This method is acquired by all Clarins-trained beauty therapists, who can then devise a targeted beauty response with each treatment. Treatments using exclusive professional formulas. 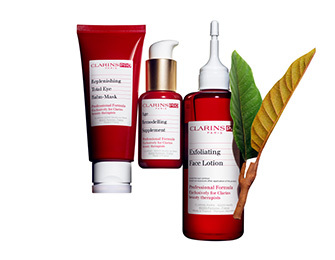 ClarinsPRO products incorporate the latest plant discoveries and scientific innovations from Clarins Research. Designed exclusively for use during Clarins Treatments, their textures have been developed to adapt to the expert hands of our Beauty Therapists and enhance the sensations you experience. These highly effective formulas enable Treatments to be totally personalized and offer immediately visible results.